Software developers have been working hard the past couple of years to be ready for the heightened interest in EMR/EHR systems. The initial focus was on "generic" systems that could work in various practices. Basic functionality isn't always enough to impress medical offices – especially medical specialists such as cardiologists. The Certification Commission for Health Information Technology, a nonprofit group that vets EHR systems for compliance with performance standards, has also noted that a one-size-fits-all approach to electronic health records does medical practices a disservice. Knowing what features you need and how an EMR/EHR system integrates with your current Cardiology practice landscape is the key to selecting the right Cardiology system. When choosing an EHR system for your medical office, look for software that lets your practice meet external goals, such as meaningful use, as well as internal goals such as specialty-based efficiencies and excellent patient care. What Are Your Peers Using? You likely won't buy a car without asking your friends and co-workers how they like theirs. Finding the right Cardiology EHR system should be approached in the same way. Contact your colleagues and ask what they are using and their likes and dislikes about the system, suggests the American College of Cardiology. This will give you a starting point for your research. HIPAA compliant EHR solution with the vendor committed to keeping up with HIPAA requirements and updating software as needed. 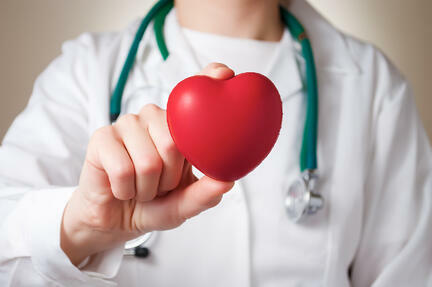 Proven web based Cardiology EMR or server based EHR in a cardiology environment. Ask for references, case studies, or information about how the software performs for medical practices that are similar in size and function to your own. Ability to integrate with local labs and imaging centers. Ask your vendor about the ability to share or receive information with other systems. Finally even though certification by an ONC-ATCB is mandatory to qualify for CMS incentives, let that not be the driving factor while selecting your new or replacement Cardiology EHR. How much will a new Cardiology EHR system cost? The total, ongoing cost for your cardiology EHR should be transparent. Software-as-a-service, such as web-based EHR or billing systems, often comes with maintenance or subscription fees. If you don't understand the cost of the EHR system, ask questions so you can properly budget technical requirements going forward. No EHR system will fit your practice without some changes. Medical Economics notes that some systems still suffer from the cookie-cutter approach - one size fits all. You want a system that can be customized to the way you see patients and the workflow through your office. Adapting your office to the way a system works results in a slow startup period, decreased productivity and increased stress. Most medical practices need some level of customization in an EHR, especially specialists such as cardiologists. Look for a cardiology EHR that comes with out-of-the-box functionality that meets general cardiology needs but is flexible enough to be tweaked for your processes and preferences. For more information about how cardiology EHR solutions can improve the efficiencies in your Cardiology office or to see a demo of RevenueXL’s Cardiology EHR, contact Revenue XL today.